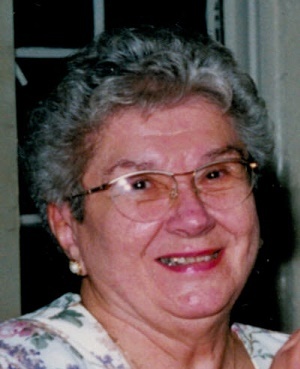 Obituary for Rose M. (Andert) Sebelski | Zahoran Funeral Home, Inc.
Rose M. Sebelski, 92 passed away on Friday, November 16, 2018 in her home. Rose was born on September 19, 1926 to the late Andrew and Elizabeth (Swartzbauer) Andert in South Bend. On October 18, 1947 she married Raymond E. Sebelski who died on December 23, 2017. Together they celebrated 70 years of marriage. Surviving are her children Ron (Kathy) Sebelski of St. Cloud, FL and Maria (John) Toth of South Bend, 4 grandsons Bob, Robert, Shawn, and Ronnie, great grandchildren Tyler, Joanna, Tristen and Ethan, brother William (Caroline) Andert of South Bend, sister-in-law Vera “Toots” Andert and brother-in-law John Moorman. She was preceded in death by her brothers Andrew Andert and Frank Andert. Rose was a member of the DFV German Club Ladies Auxiliary, Daughters of Isabella, St. Adalbert’s Harvest House and St. Mary of the Assumption Rosary Society. A Mass of Christian Burial will be celebrated at 12:30pm Tuesday, November 20, 2018 in St. Adalbert Catholic Church. Burial will follow in Cedar Grove Cemetery. Family and friends may gather from 10:30am til 12:00pm Tuesday in the Zahoran Funeral Home, 1826 Kemble Avenue. Memorial contributions may be made to The Center for Hospice Care or St. Adalbert Church. To leave an online condolence, please visit our website at www.zahoran.com.